Looking for an old fashioned Cornbread Dressing Recipe like your grandmother made? Look no further because here it is! 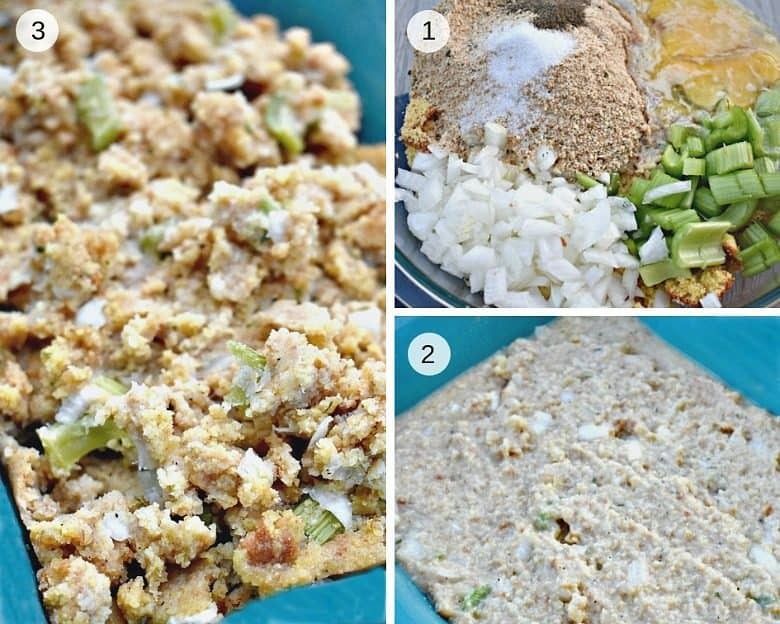 Whether you use cornbread made from a box or cornbread made from scratch, this Cornbread Dressing is delicious. When I was growing up, during the holidays, my grandmother was always the one who made cornbread dressing. There was nothing like the delicious taste of her dressing. Unfortunately, I never learned to make it from her. But, this cornbread dressing recipe is pretty close. And, this recipe has the benefits of bone broth. It can be made with regular, whole wheat or gluten free bread or biscuits. Either way, crumble them up along with the rest of the ingredients and you have a wonderful side to your holiday dinner. While you can purchase real chicken broth, I like to make my own. Check out How to Make Chicken Broth and watch the video to see how easy it is. If your would rather purchase real chicken broth, I recommend Kettle and Fire bone broths. Their bone broths come from grass fed animals who are not fed antibiotics or hormones and are slow simmered for over 20 hours. Another advantage to Kettle and Fire is that their broths are packaged in tetra packs (cartons) without corn lining for those who are sensitive to corn. Plus, they do not need refrigerating which makes them great for traveling. Cornbread made from a box or homemade works well. Try making biscuits and crumbling them instead of bread crumbs. Bread crumbs can be regular, whole wheat or gluten free. Turkey broth can be substituted for the chicken broth. Use as a side for holiday dinners or anytime. Serve with soup instead of muffins. Use with leftover holiday dinners to make a sandwich of turkey, dressing and cranberry sauce. 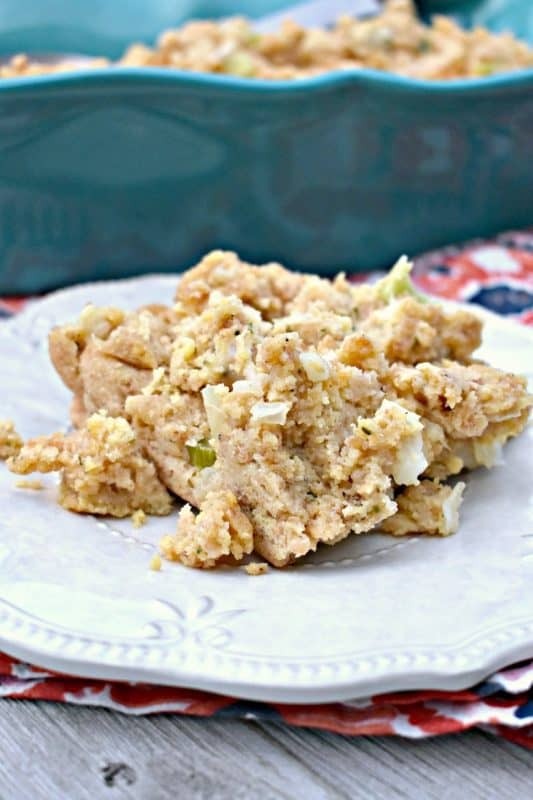 If you’ve tried this CORNBREAD DRESSING RECIPE or any other recipe on Cultured Palate please take a minute to rate it and leave a comment letting me know how you liked it. I love hearing from you! You can also FOLLOW ME on PINTEREST, FACEBOOK, INSTAGRAM, YouTube and TWITTER. 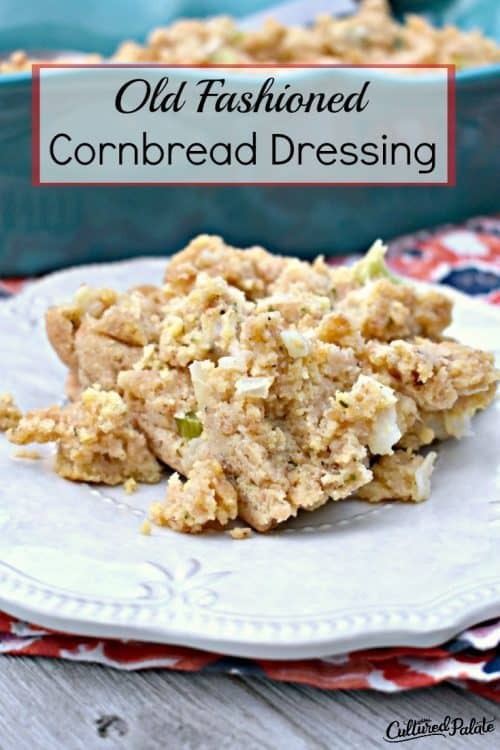 An old fashioned cornbread dressing recipe just like grandmothers made - just plain delicious! Prepare your cornbread using the instructions on the box or your favorite recipe. After the cornbread has cooled, crumble into a large bowl. Place mixture in a greased 11" x 7" baking dish and bake at 350 for 45-50 minutes or until a fork inserted into the center comes out clean. Turkey broth may be substituted for chicken broth. Biscuits can be baked and broken into pieces instead of using bread crumbs. This is one of my favorite memories of childhood holidays – my grandmother’s dressing. What holiday dish brings back memories for you? Leave a comment! 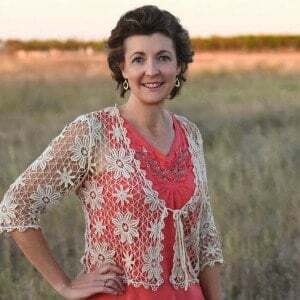 I tasted cornbread stuffing for the first time last year and I LOVEd it! Thank you for the easy recipe to follow! Renee, you are so welcome. This is one of my favorite recipes! Thanks, Linda, it is delicious!